At Falcon Structures, we've been modifying shipping containers since 2003. 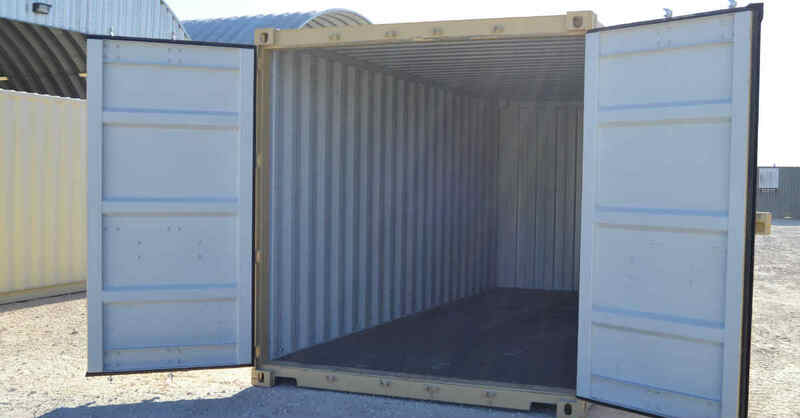 Inherently durable and secure, conex container structures are ideal for storage units, industrial enclosures, workspaces, living spaces, and more. It’s important to note that a variety of outlets sell conex containers, and containers come in different sizes and conditions. 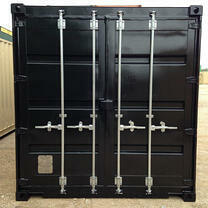 Standard sizes include 20-ft and 40-ft shipping containers. In terms of condition, containers are typically categorized as used or one-trip (new). Now that you know the basics, we recommend you check out the following nine considerations before purchasing a conex container. 1. Is the conex container wind and water tight? If you see deep rust spots or daylight shining through, the container won’t keep wind and water out. 2. Are the conex floors in good condition? Inspect the floors for rotting or repairs. 3. Do the conex cargo doors and latch gear operate smoothly? Try opening, closing, and latching the doors, and look for deep rust at the bottom of the doors. 4. Does the container smell funky? Containers can emit odors from paint, insecticides used to treat the flooring, or remnants of what was shipped inside. Be sure to walk inside and check for any unappealing odors. 5. Is the conex roof in good condition? The roof should be flat and free of major dents that could collect water, and rust through. 6. Is the conex free from major dents and dings? Most used shipping containers have some dents and dings to inspect. Even if the dents don't impact the the container's performance, they may be too unsightly for some. 7. Is the conex container’s color suitable for your application? The conex box can be painted if you prefer a different color. 8. Where will you place your conex box following purchase? Shipping containers usually don’t require a foundation. However, in some instances, you may want to install a cement slab or purchase railroad ties to support your box. 9. Will the conex box fit your needs as is, or do you need custom container modifications? Common container modifications include: Doors, windows, insulation, climate control, electrical, plumbing, and more. For more details about these nine considerations and how Falcon inspects each and every shipping container, check out this recent post: 5 Ways Falcon Ensures Your Container is Safe and Secure. Be sure to check out our catalog of field tested solutions. If you'd like to learn more about why shipping containers are a great choice for functional space, we’re here to help. Contact Falcon Structures at 877-704-0177 to speak with a knowledgeable sales representative today.